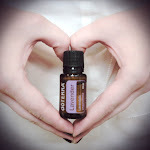 OUR GOAL IS TO INSPIRE AND TEACH OTHERS HOW TO USE ESSENTIAL OILS IN THEIR EVERYDAY LIFE. NEW ESSENTIAL OILS LAUNCHED IN OCTOBER FROM DOTERRA! used in massage therapy to relax and sooth the mind and body. or email Gwen at gstanulis@att.net to reserve your seat!